I am not real happy right now. 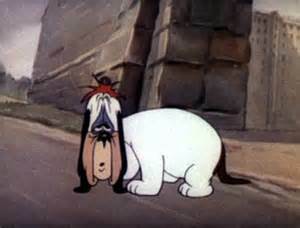 I’ve been feeling like a droopy dog. It is so hot and it’s only early April. I think it gets worse every year. I feel like crap. This place has no AC, only fans. All they do is blow dust and hot air around. During last summer I would take of my shirt and lay down on the cement floor at night because it was a little cooler. I used to have a fan but it stopped working last year. Because of my epilepsy I can put in a request for a fan but they told me they don’t know how long it would take to get one. Why,it’s only a fan? I can buy another one in the commissary but I hate to spend what little money I have on one. By the time I get one I’ll be a crispy fried Jamie. Don’t eat the left leg there’s something with that one! Lol. All I really know is that it’s going to be a very long, very hot summer. This is just a small taste of what is to come. Even so, I kind of like this unit better. It’s an old unit. It’s been around for a long time. There’s more opportunity here, for learning trades and all. I have to be G2 for that. I spoke to the captain and she said if I did a year case free I could go from G5 to G2. But I don’t know if I want to take a G4 status because they are going to want to move me to another unit. I don’t want to go. I like my window. They could move me to a whole different place. But if I had G4 I could leave to go eat with everybody else. I wouldn’t have to be fed through a slot in the door. And I could go to the rec room and watch TV. But there’s also a greater chance of trouble trying to meet up with me. There’s always someone who wants to show you how bad he is. They think they have something to prove. If you don’t stand up for yourself they’ll keep coming after you. But if you fight back it gets you in a mess of trouble. They lock you up whether you started it or not. That’s how I got sent back to ad seg the last time. Really, I’m trying to look on the bright side of things but I just can’t find it right now. It’s like everything is in shadows and I can’t quite see it to figure it out. I miss my son. I really miss my son. I want so much to see him. I want him and the kids to know I love them always and forever. I feel like a plant that hasn’t been watered in weeks. I’m all dried out. I don’t do anything but just lay here on my bed. I’d ask to go to rec during the one hour they let me out, looking for fresh air, only to get a real heavy smell of horseshit. You can’t see me right now but I’m sticking my tongue out!